♪ If you go down in the woods today, you’re sure of a big surprise. 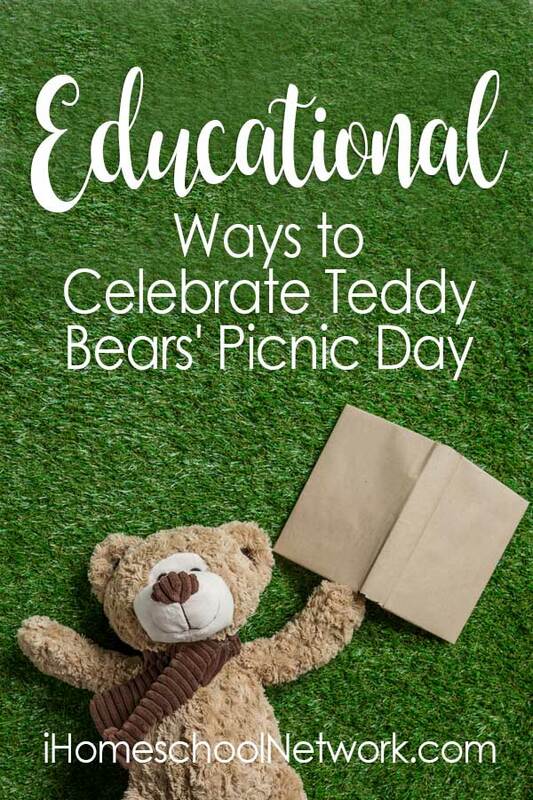 July 10th is the official Teddy Bears’ Picnic Day. Based on the popular children’s song “The Teddy Bears’ Picnic”, it is a whimsical celebration of our childhood stuffed toys. The music to this song was first written in 1907 by American composer John W. Bratton, and British songwriter Jimmy Kennedy added the lyrics in 1930. It is unclear how or when this holiday originated, but it has been embraced by families all over the world as a beloved yearly tradition. Round up your friends – real and stuffed – and go on a Teddy Bears’ Picnic! ♪ Ev’ry Teddy Bear who’s been good is sure of a treat today. Before you go on a teddy bears’ picnic, you need to spruce up your favorite teddy bear. Fluff his fur and maybe tie on a fancy bow. Remind him to practice his manners. You will want to pack some scrumptious treats for your outing. Make sure you have some of your teddy’s favorites! A teddy bear picnic isn’t complete without a few games. Play hide and seek with your bear (but don’t forget where you hid him). Feeling brave? Go on a bear hunt. ♪ If you go down to the woods today, you’d better not go alone! Your fun doesn’t have to end once the picnic is over. Add some of these teddy bear activities to your day. 2. Learn about the history of the teddy bear. 3. Make a list of famous bears. 4. Use you favorite teddy bears to fill in some graphic organizers. 5. Make a bear cave by draping some blankets over a table. 6. Whip up a batch of honeycomb candy. After a full day of food and frolics, your teddy will be ready for bed. Wipe any crumbs off of his mouth and tuck him in tightly. Don’t forget a goodnight kiss! I'm Amy, your curator of fun and educational resources. My family is big on traditions and we try to live life in rhythm with God's beautiful seasons. I love to share free holiday homeschool ideas over at Amy's Wandering. Follow me as I wander through life one season at a time!